People do business with whom they like, know well and trust. 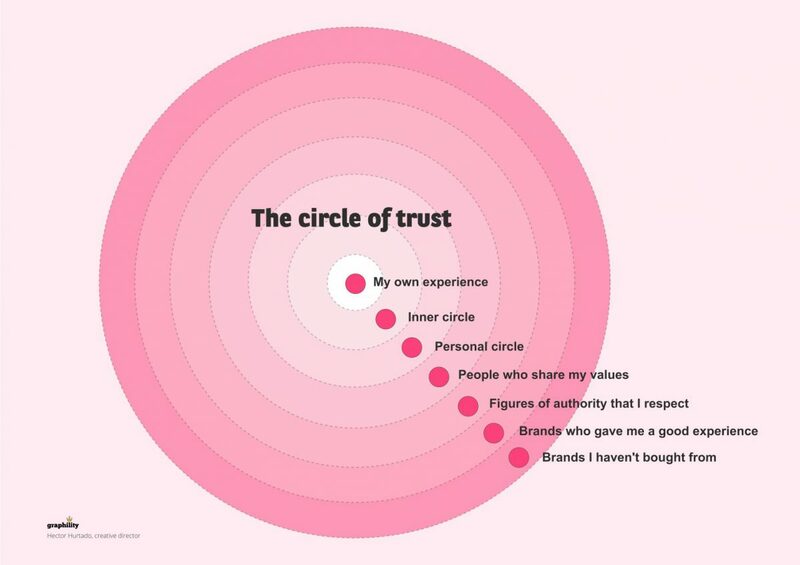 Brands are a representation of trust. If a customer believes that a specific brand delivers good quality products or services, anything they promote or advocate is most likely to pass the trust test. If you’re working to build trust online, it’s important that you present as many proofs as you possibly can to your customers. With time, positive customer service communications and high-quality sales serve as evidence that your business is trustworthy and reliable. Trust is built on meaningful relationships between brands and customers. The annual study by Havas Group’s 2017 Meaningful Brands index found that 84% of people expect brands to create content providing solutions, experiences, entertainment, and events. But 60% of all content created by brands is either trivial, irrelevant or fails to deliver. As a result, customers wouldn’t mind if some of the brands they use fade away. “The results of the Meaningful Brands global study show that most brands are investing in content without thinking through carefully what the expectations and the role of content is for them and their industry,” says Maria Garrido, Global Chief Insights and Analytics Officer, Havas Media Group. Havas has been publishing the Meaningful Brands index since 2008. They measure positive business results for brands that develop “meaningful” associations with their customers. They found that meaningful brands outperformed their competitors by 206% in the market between 2006 and 2016. Customers are ready to pay extra for meaningful experiences. According to the study, “meaningfulness” in brand marketing can boost revenues up to 9 times. Excellent content is the strongest element in determining users’ interest and therefore a brand’s meaningfulness. In fact, content detail and depth account for a major part of how a brand performs on improving user engagement. This is because people turn to content when they want to be educated, entertained, motivated, rewarded, or supervised. LEGO is an example of a brand with enriching content. 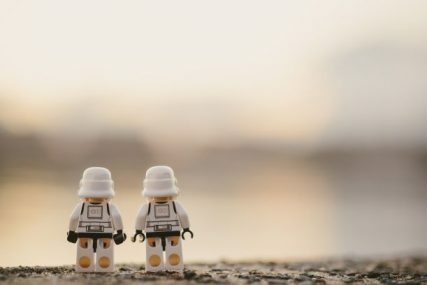 On social media, LEGO users present their creations and new approaches through photos and videos. The brand leverages that user-generated content (UGC) to engage customers at the same time exhibiting its products. Consider the huge amount of content produced every day that is not effective. People are with irrelevant content. So, how do businesses get attention in such a saturated, overcrowded market? Well, they create exceptional, strong, gripping content that establishes them as authorities. Do not impose your solution upon your customers. You might think your advertising is resonating with audiences, but 71% of readers say they lose interest with the content that seems like a sales pitch, according to the Economist Group’s “Missing the Mark” report. Avoid constant email promotions. Adobe’s 2017 Consumer Email Survey found that 40% of respondents want emails from brands to be less promotional and more informative. How to make your emails less promotional? Fill them with content: blog posts, interactive content, infographics, excerpts from long-form content, photos, and more. Generation gap. A 2015 McCarthy Group study revealed that 84% of millennials don’t trust traditional ads. As for Gen Z, buying decisions are not determined by ads. They rely more on other forms of content. Many people say they are influenced by Snapchat, for example. Ad blocking is standard. Many customers today are installing ad blockers. As of 2017, 615 million devices have installed ad blocker technology. Customers demand content from brands. People expect brands to create genuine, honest, real and informative content. With advertisements, you are often not in control of its placement. In a 2017 survey by Trusted Media Brands, 81% of marketers said that having a brand safe environment for advertising is a high priority, while 71% said it’s difficult to achieve. Brand safety and deceitful ads inspiring new ways. Research from Teads reveals that CMOs large U.S. brands have drastically adapted their digital marketing strategy in the last year because they worry about brand safety, transparency, and ad fraud. That includes barring or reducing spending on channels that cannot ensure brand safety. Advertisements are very much alive and kicking. The point here is in the two structures of content that are created. Traditional advertising tends to be pitching for sales, whereas intelligent customers today want information. They expect the decision to be left upon them. Advertisements have definitely not reached their end. But to make impression brands have to create ads which are more informative and true. The empowered customers today research before their purchases. Hence the customer journey begins with content. Customers expect a consistent experience wherever they engage. Be it website, social media, mobile, or in person. Content can feed every channel and create a cohesive omnichannel experience. People tend to trust customers more than they trust companies, especially in their first effort of buying a product. We are way past the mad-men era of advertising, when crafting the perfect marketing message to clueless yet convinced consumers might have done the job. Customers today prefer real people telling them about their experiences with a product or service. In the online era, user-generated content is the best way to bring that authenticity to customers. User-generated content is when a company takes the photos, video, or blog contents that its customers are creating and using it as part of its marketing efforts. User-generated content serves you the opportunity to elaborate your marketing efforts. Thus reaching out to an engaged and trusting audience. A well-designed company website is an important asset to build trust. Brand humanisation elements such as a complete “About Us” page helps customers to relate to the people of your company. Knowing about the people with whom the customers will share their pain points makes it easier for them to trust their brands. The tone is also essential. You need to consider the industry context, but remember people do business with those they admire, associate, and trust. It is easier to like, know, and trust a person behind the brand, rather than a brand itself. Wherever possible, allow users to see the people who build your brand and can connect with them easily. Testimonials from satisfied customers can also help you support your brand messages and promises made to customers. Review your site to ensure that all links are functional as they should be and fix any that are broken. At graphility, as a part of the whole experience design process, we believe in producing creative, meaningful and informative content. Be it photography, videos or copy our expertise will help you create the best solution in the market. Trust us so that your customers can trust you! Remember the circle of trust? Here is a small recap. Works in life and business alike with little adjustments! Tell us which “trust building” element do you most agree with? Contact us if you need further information.